← Wednesday week 4: 16 digging days to go! The days are going by in a blur for me! 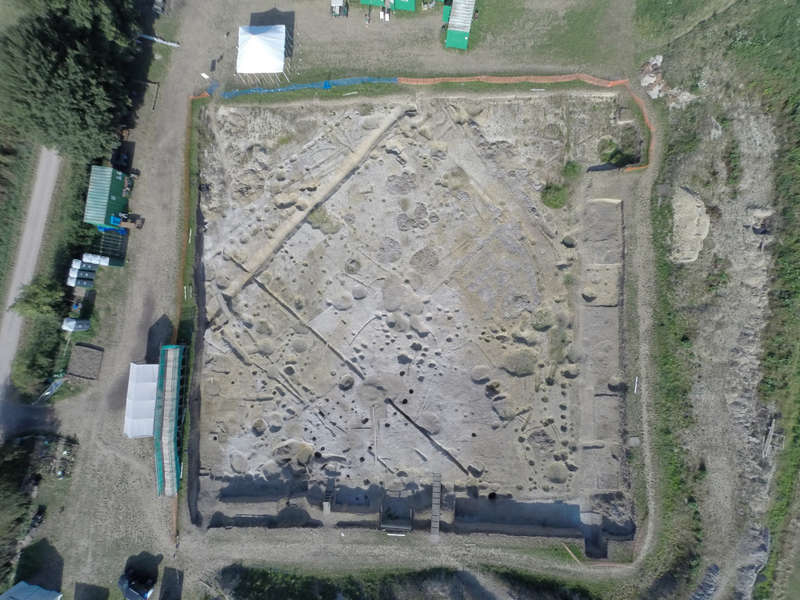 Not only do we have a large number of booked in groups and visits, but each day sees more and more people from the excavation’s past arriving for a final look at a 55m by 55m trench which featured large in their lives. This means I hardly have time to breathe! And my feet don’t touch the ground in between visits! 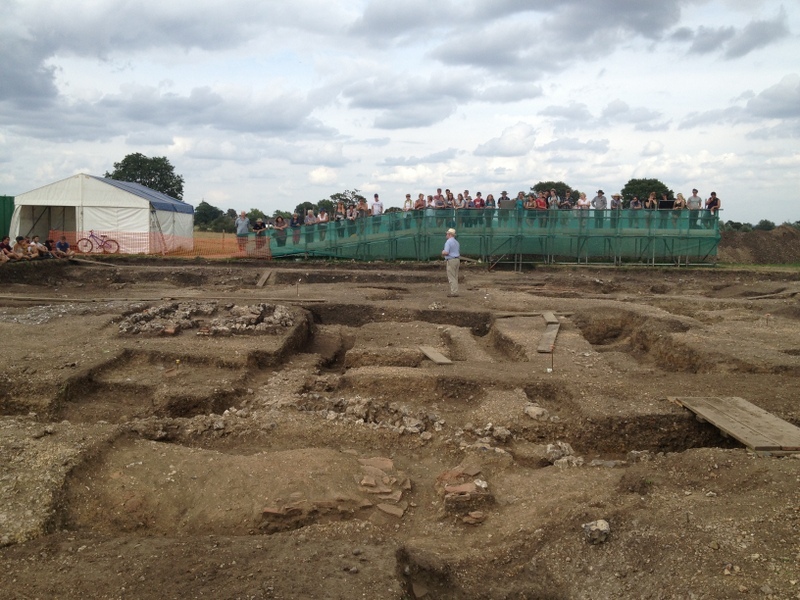 Today we hosted a visit by Thatcham’s U3A group: Mike gave a lecture in St. Mary’s Church, followed by a tour of the excavations and a look at our finds. 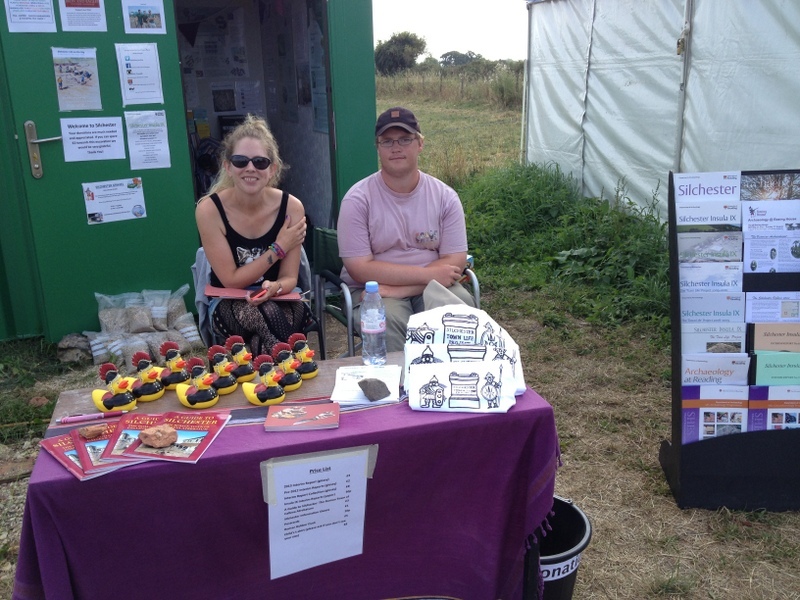 After making sure this was running smoothly, I spent some time with my Visitors’ team, talking about the next 2 weeks and ordering some Silchester branded merchandise so that all of our visitors can take a memory of site home with them. The Visitors team has been bolstered by the arrival of James Steward who will be a Placement working with Zoe and Will over the next few weeks. With so many visitors pouring in, Zoe has a huge challenge on her hands, making sure that all visitors are met and greeted and taken on a tour if they so wish. I had a catch-up chat with Jen, my Database Manager, to discover how the data entry was progressing – and the news is excellent. Jen is completely on top of the entry of site records – which means that the on-site team can combine and overlay the digital plans of their areas in order to determine strategy on a daily basis. Additionally Jen is looking after the iPad mini project we are running on site: although there are glitches with the database when uploading records from the iPad mini to our Integrated Archaeological Database, these can all be ironed out. 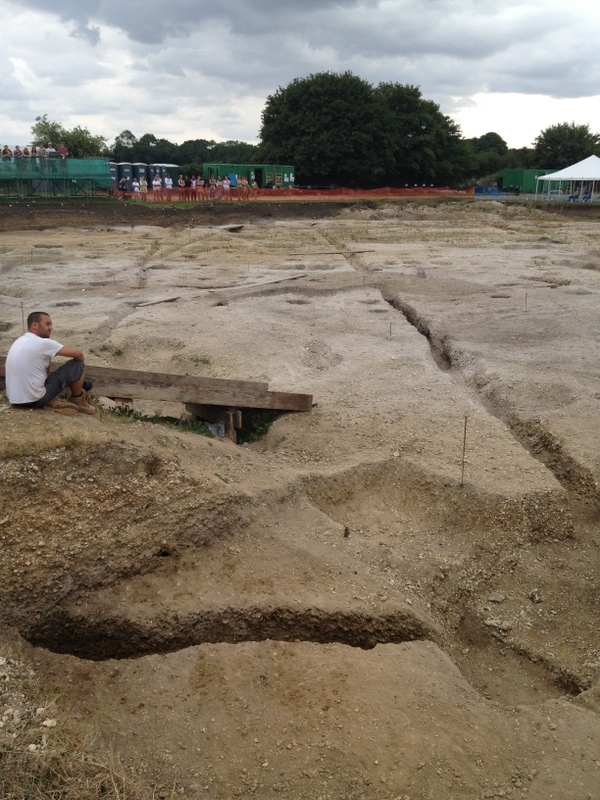 There is definitely a place for digital recording in this way on an excavation site. My assistant Jen Eaton and I also spent some time organising lists for Week 5 – hard to believe that we are nearly into our final 2 weeks on site….gulp. 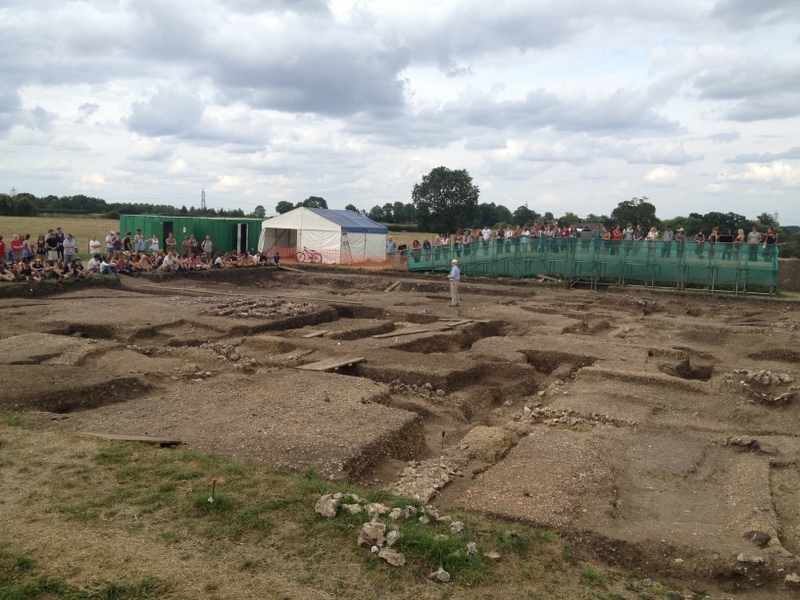 We also sorted out a timetable for this Saturday’s visit by the 3 winners of the Young Archaeologists’ Club competition – the prize is a day with us at Silchester! Our day was enriched by a visit from the ‘Sounds Like Lunch’ team from the BBC! Fiona Talkington spent several hours with us on site, recording the sounds of the excavation, and asking us all what archaeology, the project, means to us. 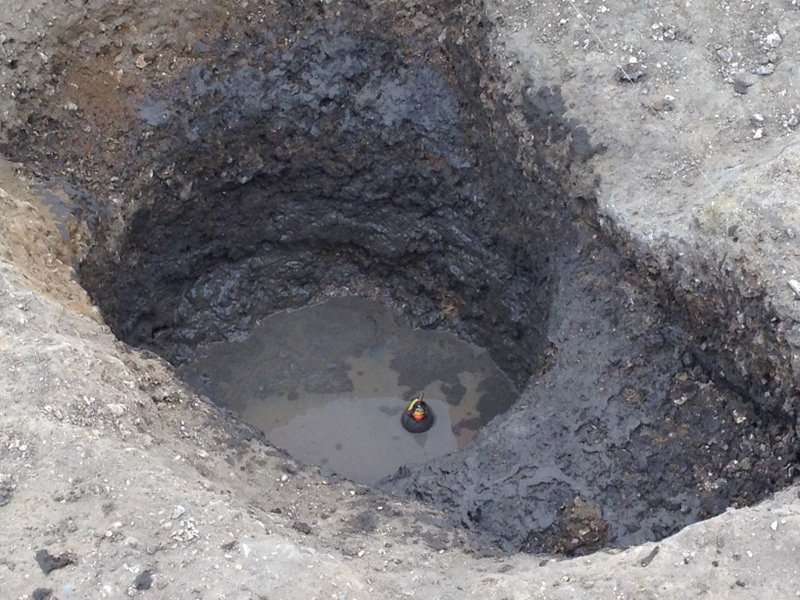 An excavation has a sound all of its own, which reflects the people working on it……not just the tang and clatter of trowels, but also the squelch of mud (mudlarks Rosie and Amy! ), the rush of water through sieves, the brush of toothbrushes against pottery, and the gentle background of archaeological (and other!) chatter. Watch this space for news of the date of broadcast! 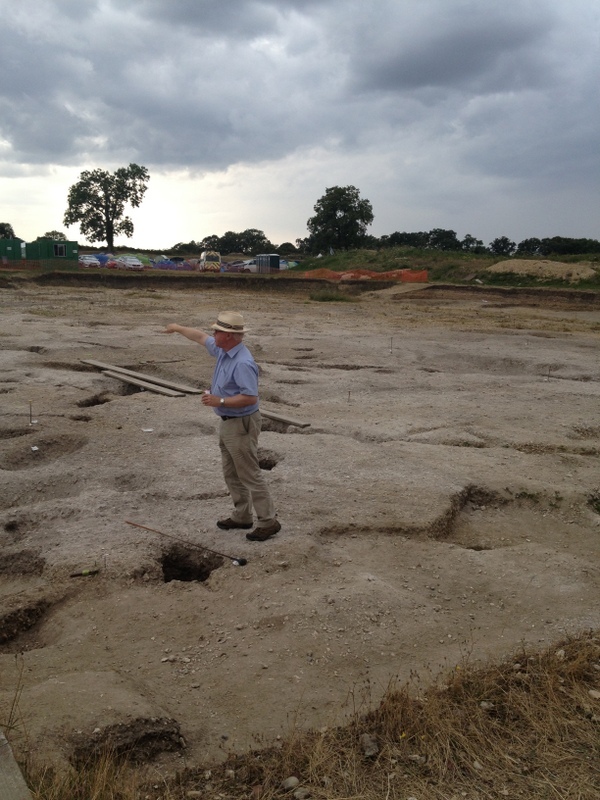 In the afternoon I hosted a visit from Duncan Sayer, one time Silchester Supervisor and now a Senior Lecturer at the University of Central Lancashire, and co-Director of the Oakington training excavation. Good to catch up with Duncan! And animal bones maestro Jim! 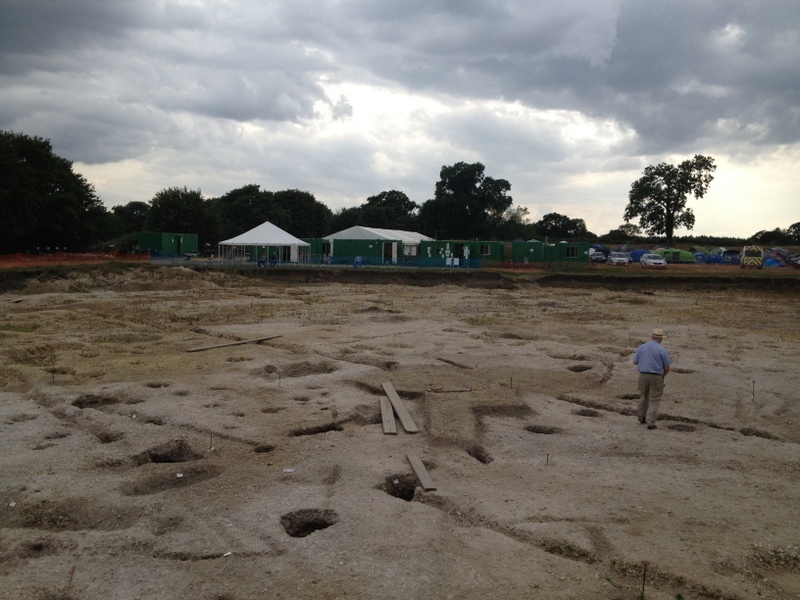 The day ended with Mike Fulford’s regular Thursday afternoon site tour…..a wonderful story is emerging from our excavations on insula III…..and Insula IX is drawing inexorably to a close……. Tonight is our farewell staff party at the wonderful West’s! 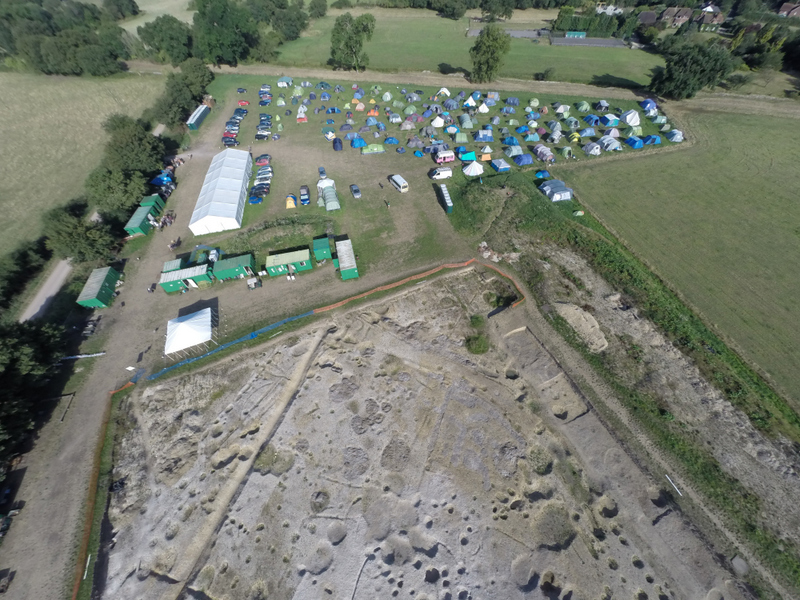 And I will leave you with a taster of our drone photographs…..more to come! AmandaOut – see you on Saturday!